I recently wrote a post about Mom Wins — those tiny victories in a mom’s every day life like seeing your kid consume the recommended servings of water in a day, or seeing your child reach for veggies for a snack. Those little Mom Wins make my day. They really do. Another Mom Win to me is not having to make school lunches! I often think of the old saying, “Teach a man to fish and he will never go hungry”, and it reminds me that if you teach your kids to make their own school lunches, you will never have to make school lunches again. 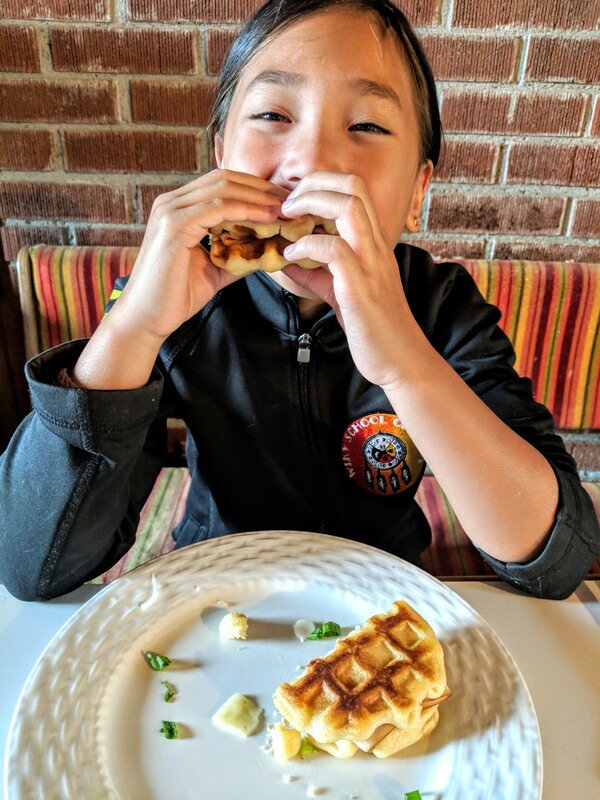 Little One concocted her version of chicken and waffles, because A) we have been making waffles and pancakes a lot lately, and B) she really likes Maple Lodge Farms Natural From The Farm Oven Roasted Cooked Chicken Breast deli. The funny thing is that Little One has never actually had chicken and waffles before. She has been obsessed with the idea of chicken and waffles, because we haven’t really seen them around here. Chicken and waffles are more of an American (Pennsylvania Dutch) thing. Little One kept seeing photos on Instagram and videos on YouTube, and since she knew she wasn’t allowed to fry chicken on her own, she decided to use the Natural From The Farm Oven Roasted Cooked Chicken Breast deli as an easy, kid-friendly substitute for fried chicken. She makes me laugh. She’s so cute. 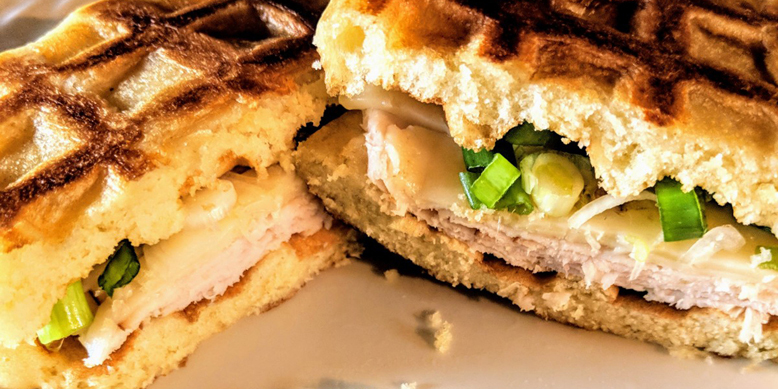 Instead of fried chicken served on top of waffles, she made her version more of a sandwich with Oven Roasted Cooked Chicken Breast deli slices and some good cheese sandwiched between homemade Belgian waffles and slathered with maple syrup from our farm. 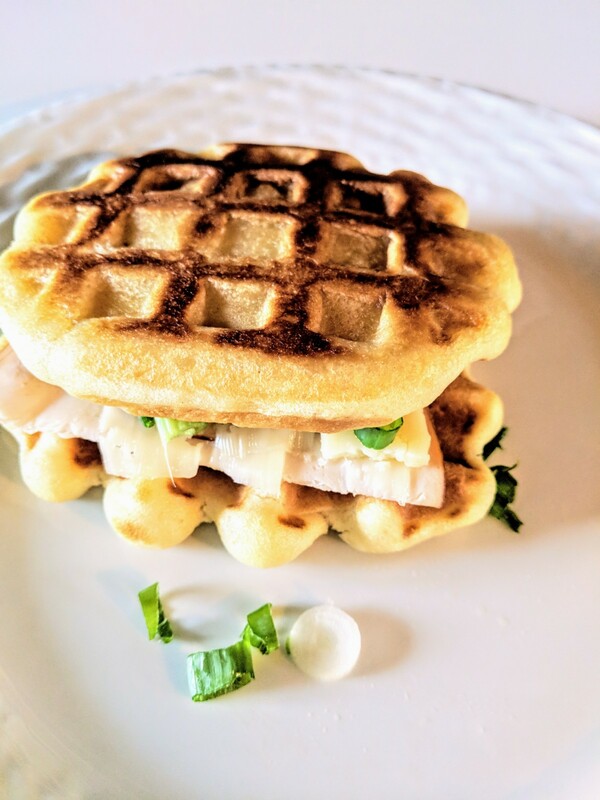 Layer oven roasted chicken slices and cheese on a waffle. Sprinkle chopped scallions on top and add another waffle to form a sandwich. In a pan over medium heat with melted butter, cook waffle sandwich as you would prepare a regular grilled cheese sandwich. Cut in half and drizzle maple syrup over Lunchbox Chicken & Waffles sandwich! Enjoy! 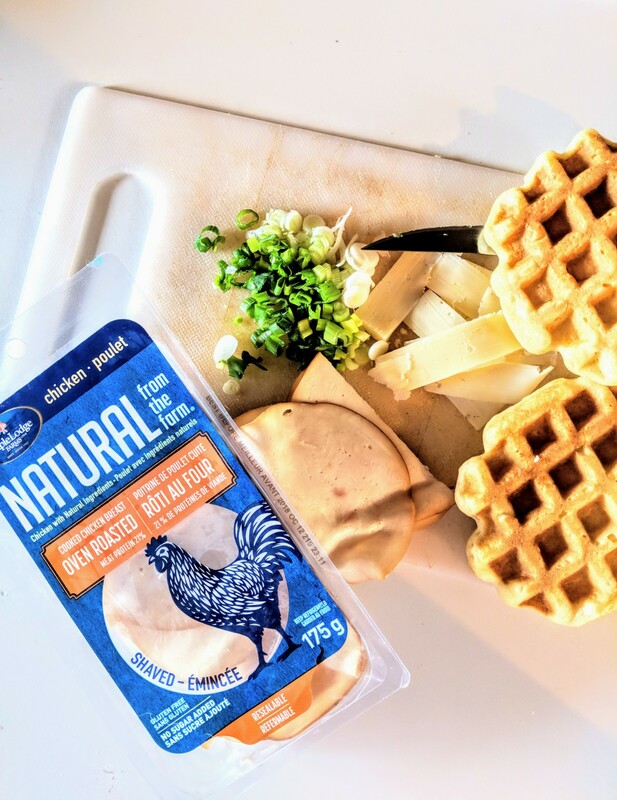 Maple Lodge Farms Natural From The Farm Oven Roasted Chicken Breast, homemade waffles, and maple syrup from our farm! Drizzle maple syrup over Chicken & Waffles sandwich. Little One said it’s kind of sticky and messy to eat, so if you are putting maple syrup on top, it’s easier to eat this with a fork and knife. To keep sandwich from going mushy if you are taking it with you, put maple syrup in a little container and pour maple syrup just before you dig into the sandwich! 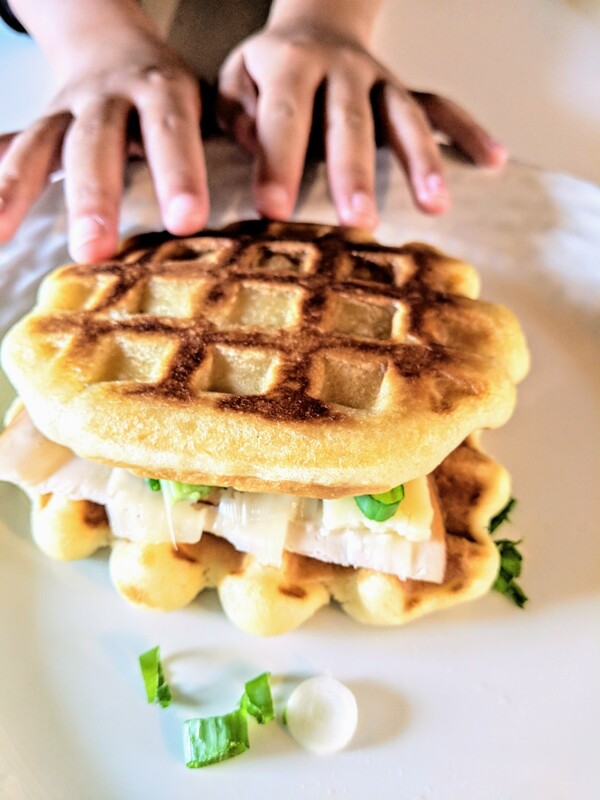 I think Little One’s Lunchbox Chicken & Waffles concoction is pretty clever! What do your kids pack in their school lunches? Share this cool contest with your friends via email, Facebook, Twitter, and Instagram for additional chances to win! Good luck!